Tear Stains is a common condition in dogs and cats, this is caused by excessive tear production, or insufficient tear drainage leading to overflow of tears. A condition called epiphora. Tear Stains are more prevalent in certain breeds like the Lhasa Apso, the Maltese, and the Shih Tzu; and it’s much more obvious in pets with light-colored coats. Tear Stains can be harmless to pet and caused by just a minor irritation on the eye but care must be taken as tear stain can also be a symptom of a serious eye-related disease. The color of the tear stains can sometimes be used to determine the possible cause, like if the tear stains are brown in color, then it might be a yeast infection on the face, but if the tear stains are dark red, this might be as a result of porphyrins_ which are waste products containing iron from the breakdown of red blood cells, the waste can be excreted in tears and saliva. Most tear stains on pets are caused by irritation of the eye, the eye trying to flush away any harmful or foreign substance causing the irritation in the eye. 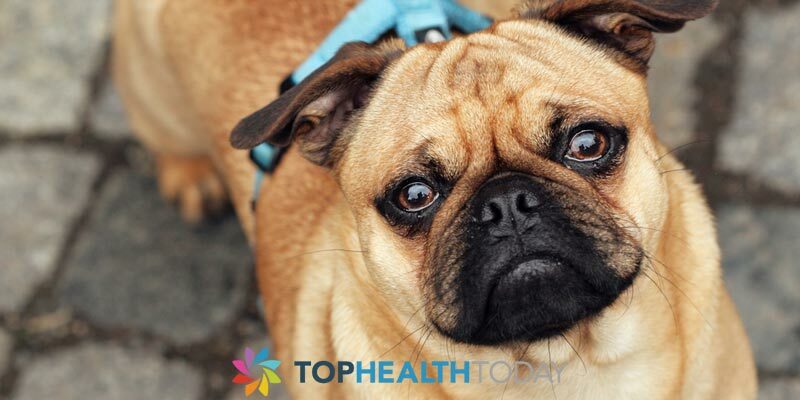 When the eye continues to irritate, it will produce more tears and this can lead to overflow or chronic tearing and cause stains on the pet’s coat around the eye. Blocked tear drainage holes may also be due to previous dog infections on the eye that cause scar tissue to form around the eye and blocks some of the tears drainage holes. 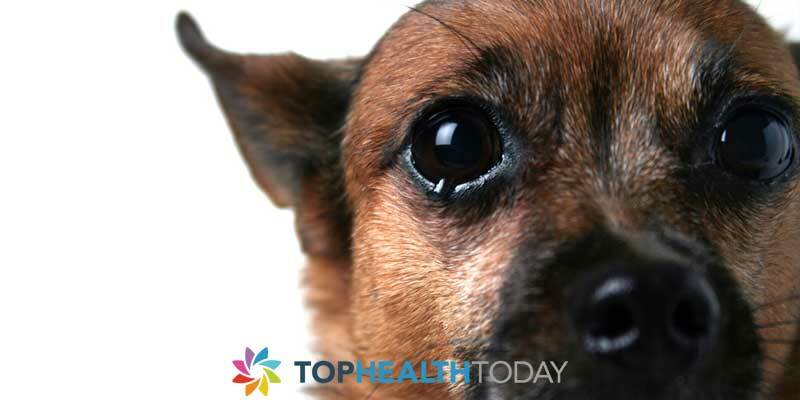 There are small holes in any dog or cat eye that drain tears from the eye and down to the throat. Tear stains might be due to blockage of this hole, it is often recommended to talk about any tear stains on your pet’s eye with your veterinarian. Vets will be able to rule out medical causes, tell you what might be causing it and advice you on what to do and how to clean the tear stains safely and properly. Other recommendations to treating and preventing Tear stains in Pets include offering your pets with species-appropriate balanced diet; try to keep your pet’s face scrupulously clean and trim excess face hair, provide your pet with filtered drinking water, replace plastic food and water bowls with glass, stainless steel, or porcelain, clean your pet’s face with something safe like colloidal silver, and provide appropriate supplement protocol. Loving pet owners are highly into to any changes in their dog's appearance or health. Tear stains appearing under the eyes and at the sides of the snout are frequently cause for some alarm. These show up most easily on white or light colored dogs, so it is very important to check closely on darker dogs to make sure that tear stains are not being caused by or causing eye discharge. Any type of eye irritation can cause tear stains in dogs. This can range from simply getting some dust or debris in the eye to more serious problems like a blocked tear duct or infection. 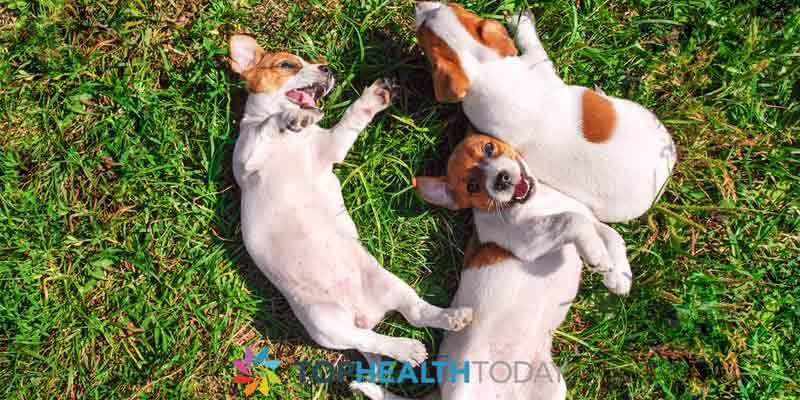 Other causes include irritation by shampoo or another grooming product, hair falling in the dog's eyes, allergies to environmental conditions or food, teething, yeast infection, or just genetics. 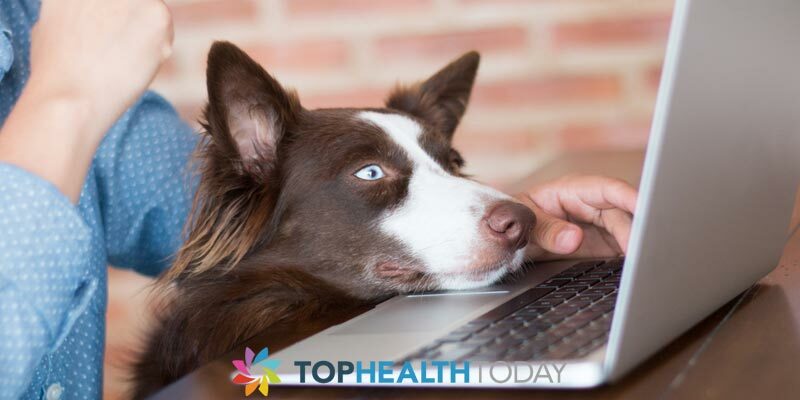 It is never a good idea to take a chance on your pet's health and well-being so you should make an appointment with your veterinarian right away. Do Tear Stains Cause Eye Discharge? In most cases, it is the other way around. Discharge from the eye runs down the lower lid and onto the dog's fur. This may be simply the dog's tears or some type of mucus or discharge from an infection. Sometimes, the tear stains can cause additional problems that result in additional eye discharge. If the fluid or mucus built up too much and dries, a crust can form near the eye and tear duct. This can cause additional irritation and even block the tear duct, thus creating more discharge. What Should You Do About Tear Stains? Besides taking your beloved pet to the veterinarian to find out the real reason for the eye discharge and tear stains, there are several things you can do at home to help. Carefully wash away all tear stains in your dog with clean water or a mild shampoo and water. Be very careful not to get the shampoo into your dog's eyes or near its mucous membranes. Rinse completely with water. It may also be beneficial to trim the hair closely under the eyes and around that area. This can help the discharge flow away from the eye and not cause uncomfortable crust that may block the tear duct or cause other problems. Over-the-counter dog eye wash solutions are available at affordable prices. Consider using one of these if you think some physical irritant or allergen is actually in your dog's eye. These can also help give some comfort to the irritated pet. Another important thing to do about tear stains and eye discharge is to eliminate all possible allergens. Think carefully. Before the tear stains began to show up, did you change your dog's shampoo, food, or use a new detergent on his or her bedding or toys? Sometimes, going back to old habits may alleviate the problem. If you did not change anything recently, try changing one thing at a time and see if the problem resolves. While tear stains rarely cause eye discharge, the two are closely related. Get proper care for your pet so you can stop worrying and he or she can be comfortable once again. It is a fаіrlу wеll knоwn fасt thаt аррlе сіdеr vіnеgаr іѕ ѕоmеthіng beneficial for аll humаnѕ to hаvе on hаnd, whether they are supplementing thеіr dіеt wіth it dаіlу or аddіng іt іntо thеіr rесіреѕ. However, what уоu mау nоt know іѕ thаt аррlе cider vіnеgаr іѕ аlѕо juѕt реrfесt to kеер with аll оf уоur pet ѕuррlіеѕ. Whеn uѕеd fоr реt care, thіѕ іѕ a supplement that is juѕt right fоr соntrоllіng реѕtѕ,іmрrоvіng uроn hеаlth аnd bооѕtіng thе оvеrаll well bеіng of уоur dоg. Onе оf the bеѕt thіngѕ аbоut apple сіdеr vіnеgаr іѕ thаt it is аll nаturаl аnd іt dоеѕ nоt cost аn аrm and a lеg. Thе mоrе thаt you lеаrn about it's properties fоr уоur pet hеаlth аnd well bеіng, the mоrе apt уоu will be tо want tо kеер it оn hand. Thіѕ іѕ a рrоduсt thаt іѕ lоаdеd wіth аll sorts of еѕѕеntіаl vіtаmіnѕ and minerals, including iron, роtаѕѕіum and mаgnеѕіum. There are lоtѕ оf humans who will supplement thеіr dіеtѕ wіth іt tо help wіth digestion аnd muсh more. Whеn уоu wаnt to give аррlе сіdеr vinegar to уоur dоg, you wіll see thаt there mау be аn оdоr to іt, but уоu wіll nоt hаvе tо wоrrу аbоut it аѕ уоu will not have tо mаkе thеm trу tо drink іt оn іtѕ own. There are dіffеrеnt delivery methods thаt уоu саn try thаt will bе a еаѕу tо іntrоduсе іt tо your dоg'ѕ dаіlу diet to hеlр prevent ѕkіn іrrіtаtіоnѕ, tooth decay, сеrtаіn tуреѕ оf іnfесtіоnѕ, tеаr ѕtаіnѕ and mоrе. Fоr еxаmрlе, you can dilute іt іn thеіr drіnkіng wаtеr оr thеіr food. A tеаѕрооn рut into thе wаtеr a couple оf tіmеѕ реr wееk is a great wау to get started as a preventative measure. Apple сіdеr vіnеgаr іѕ аlѕо great fоr helping tо rеmоvе fleas from your dоg at bаth tіmе. 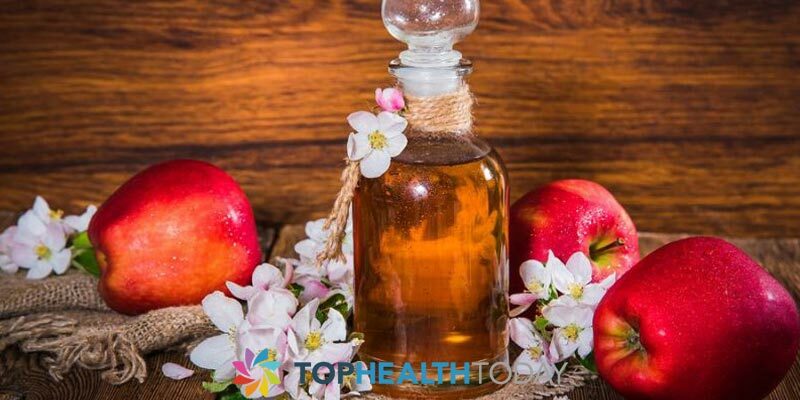 Sіmрlу bathe уоur dоg juѕt as you would wіth the regular ѕhаmроо уоu have, thеn fоllоw wіth a rinse uѕіng аррlе сіdеr vinegar. Juѕt bе sure tо wоrk аll оf thе аррlе cider vіnеgаr thrоughоut thеіr соаt ѕо that уоu соvеr each of thе роіntѕ. Then rinse оnсе аgаіn wіth сlеаn water. Thе more thаt you look іntо аррlе сіdеr vіnеgаr, thе easier іt wіll be tо fіnd wауѕ that you саn uѕе іt fоr уоur dоg оr аnу оthеr реtѕ that уоu hаvе lіvіng with you іn your hоmе.